Starting next month, people using Netflix's mobile apps will be able to watch video previews for the first time —and displayed in a vertical format, so they don't need to rotate their iPhones. 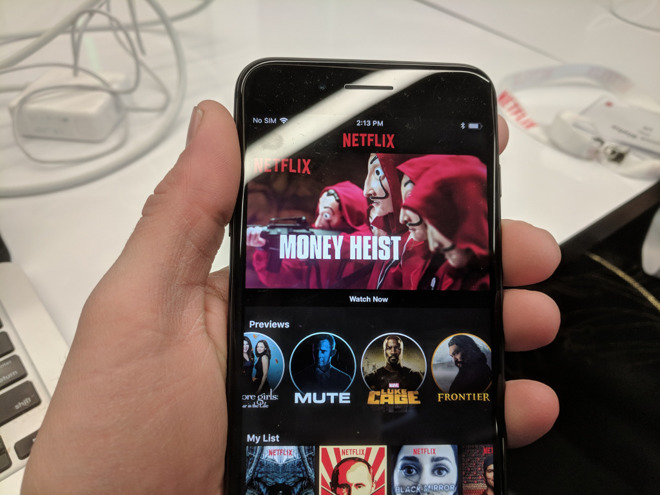 Unlike the set-top version of Netflix, which plays video automatically as users scroll through titles, the upcoming mobile system includes a special "Previews" carousel with round icons, Variety noted. The format is similar to Snapchat/Facebook/Instagram Stories, and tapping an icon will launch a trailer specially cropped for the vertical format. Each trailer is fullscreen, but with an overlaid title and interface elements. The effect is even more pronounced on devices with an edge-to-edge display like the iPhone X. While only about 20 percent of Netflix's movie and show streaming happens on mobile, over 50 percent of subscribers are said to use the mobile apps on a monthly basis. This may suggest that a lot of people are using mobile to find and queue videos, but saving actual viewing for when they sit down at home.